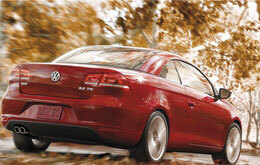 The Eos is sort of the nomadic wanderer of the popular Volkswagen lineup. This attractive hardtop convertible isn't the most popular in its class, but that's no fault of its own. My theory is that people don't associate a top-down beach cruiser with anything German designed. When I think of Germany I think of precision engineering and people who don't smile very often, and admittedly, while one of these things is nothing more than a stereotype, it's exactly the reason why I have a lot of love for the 2014 VW Eos. Most convertibles are under-powered, poorly designed and not as safe as one might think. The Eos, on the other hand, comes standard with a beautifully built powertrain setup, solid design and an extremely safe track record. After all, not many convertibles achieve the 2014 IIHS top safety rating of "Good" in frontal-offset and side-impact tests like last year's Eos did. For the new model year these safety features carry over, as does its turbocharged 2.0-liter engine and fully loaded interior. New features include the VW Car-Net connectivity system, keyless entry/push-button start, and a standard navigation system on Komfort and Sport trim levels. With all of that said, I propose we break a stereotype and make a few Germans smile by giving the 2014 VW Eos the credit and attention it rightfully deserves. 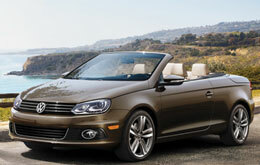 The VW Eos is available in Orlando in 2014 in Komfort, Sport and Executive trim levels. This five-passenger convertible comes standard with a retractable hardtop roof and a turbocharged 2.0-liter engine that generates 200 horsepower and 207 lb.-ft. of torque. It features a six-speed dual-clutch automatic transmission and front wheel drive. If you read other VW Eos reviews, you'll find that the automotive press loves this car not only for its liveliness and stellar safety record, but for its comfortable interior, too. Standard and optional features include: cruise control, dual-zone climate control, full power accessories, leather seats, a rearview camera, a 10-speaker audio system, a leather-wrapped steering wheel and shift knob, Bluetooth connectivity and much more. 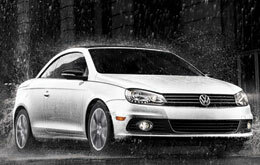 Before signing on the dotted line for other convertibles like the Mazda Miata or Mini Cooper Roadster, make sure and test drive the highly recommended 2014 VW Eos in Orlando. For more info on specs and features, continue on below. If you've ever thought about purchasing vehicles like the 2014 Infiniti Q60, and the Chrysler 200 in Orlando, compare Volkswagen's new 2014 Eos first; we're absolutely sure that it's ideally suited for you. Shoppers will be pleased with the Eos's cut-rate pricing, as well as its splendid exterior design. Many drivers in Orlando choose it because it's a fantastic value; compare its price to the aforementioned vehicles to see for yourself. Look through the Eos bullet list under this paragraph for more quick facts. 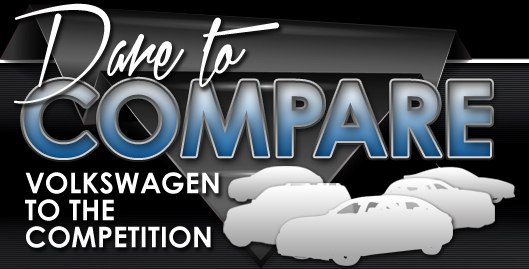 David Maus VW South is your source for 2014 Eos reviews and car comparisons. We're a leading car dealer in Orlando for a reason, part of which is that we provide reviews created by experienced writers who are at the height of their craft. Everything perspective car buyers need to make intelligent decisions is right here, including info regarding cabin features and other specs. Each section is bundled with valuable information and specs - all at your fingertips. After reading David Maus VW South's review of the new Eos, phone us to schedule time for a test drive and find out about current lease offers!